Japanese developed Sorachi Ace hops are best known for the unique lemon, citrus, dill and cilantro notes they add to the famous Sapporo Lager. 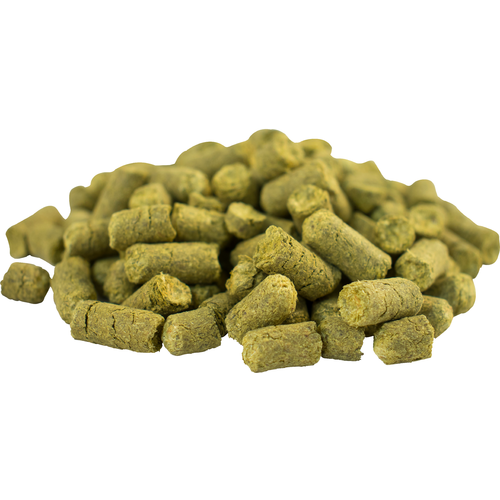 Though primarily used as a bittering agent, Sorachi Ace is essentially dual purpose, and works well alongside Citra and Simcoe hops. A great choice for IPAs and Pales as well as Lagers. To make a Sorachi Ace SMaSH of some sort. Love these hops in Saisons! Use sparingly. While this hop provides a grapefruit nose, it's more like the pith than the peel. I've brewed several batches with this and as little 1 oz at 60 mins will provide a subtle flavor. More is not better. Use this as your finishing/flameout hop for Saisons. The lemmon and citrus aroma and flavor really work well with the Saison.